ESF might not be the best choice for your farm Remodeling project increases farrowing crate footprint. 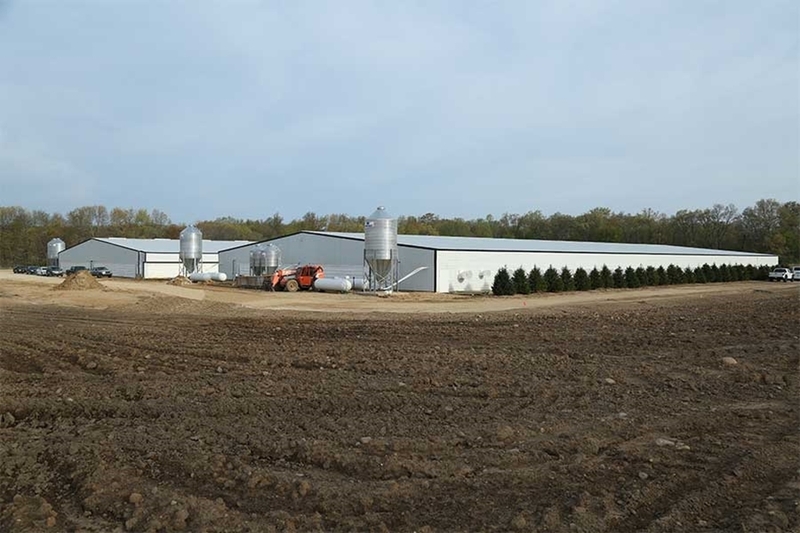 The production site consists of a 160'x 352' stanchion gestation house and a 139' x 286' farrowing house with 440 farrowing crates. 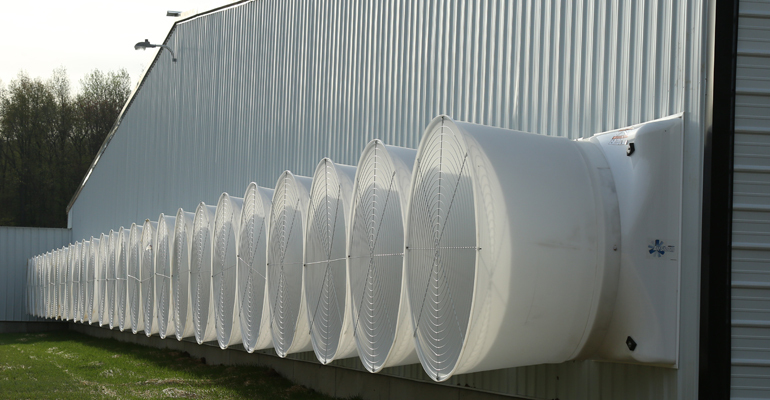 26) 54" AirStorm X-Brace fans power the tunnel-ventilated gestation house. 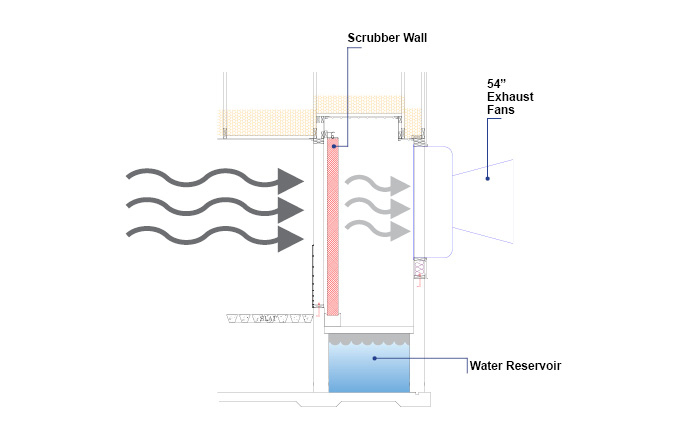 Exhaust air is pulled through a plastic scrubber wall to reduce dust and odor emissions. 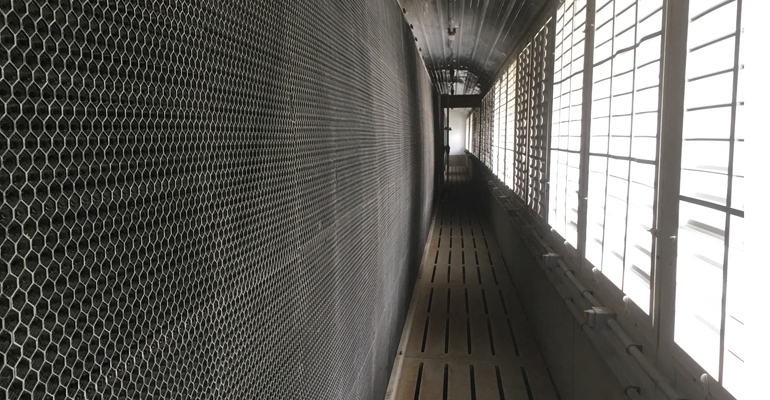 Water from a below ground reservoir is continuously trickled over the scrubber wall trapping dust and gases from the exhaust air. 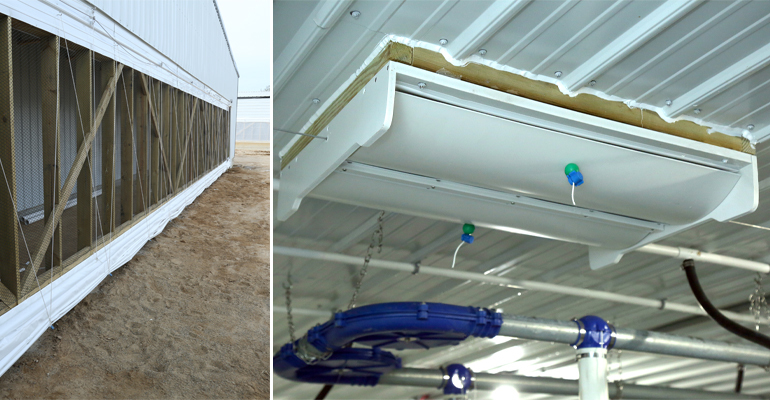 Curtain openings on each end of the farrowing building supply air to the insulated attic year round. Air enters the room through actuated ceiling inlets. 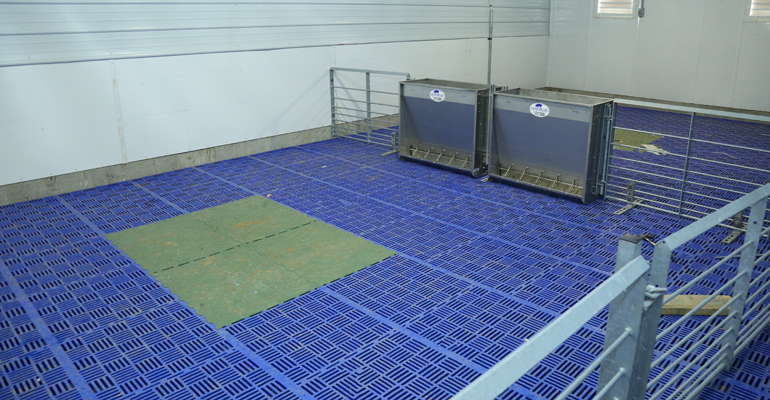 Each of 11 farrowing room contains 40 galvanized crates with cast/ TriBar flooring. Aqua Bowl cups reduce water wastage and encourage the pigs to drink earlier. 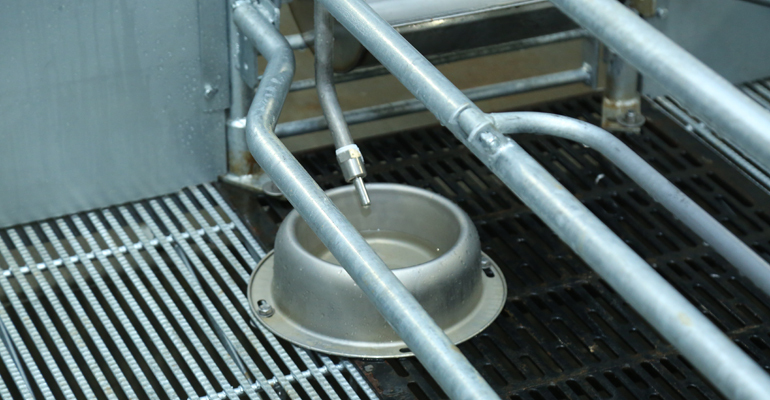 Removing the water source from the crate sides creates drier pen conditions promoting longer equipment life. 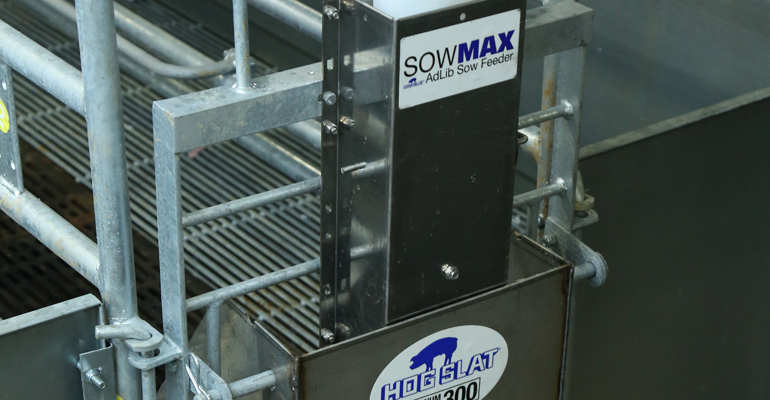 A Grow-Disk chain system supplies feed to SowMAX dispensers located above each farrowing bowl. Sows receive ad lib rations by activating a simple trigger mechanism. 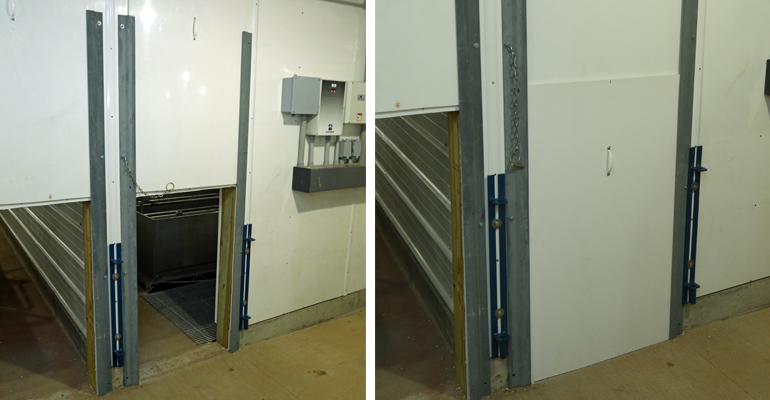 Simple vertical slider doors allow animal movement in and out of the farrowing rooms without the damage common to standard walk doors. Alley gates securely fasten to wall brackets to direct pig traffic. 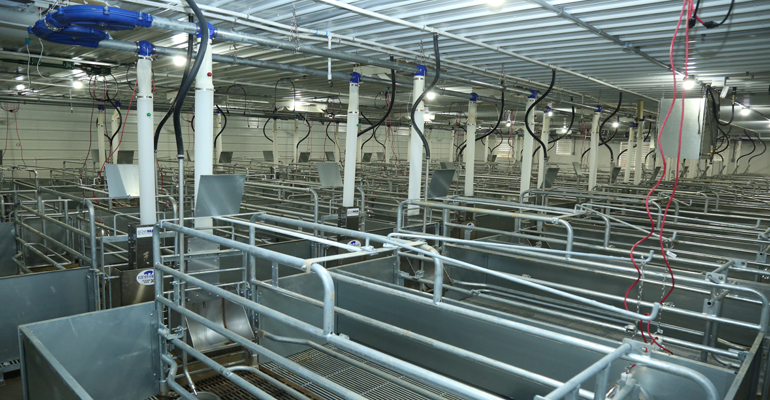 The facility also contains a weaning room outfitted with Hog Slat’s plastic flooring. The green section in each pen provides a solid area for creep feeding.